Manhattan's Luxury Folding Glass Windows & Doors Best of Houzz 2018! Hamilton Building Supply and HBS HOME™ are a family-owned and operated full service lumber, building material, millwork, and finished goods supplier who caters to the specific needs of homeowners, professional contractors, interior designers, and architects… and has been successfully doing so for 92 years. We’re uniquely qualified to handle residential building and remodeling needs because of our scale and vast resources. From our 9-acre facility in Hamilton, NJ to our 4,500 SF collaborative design center known as HBS HOME™ in Newtown, PA, you’ll find over 70 experienced, knowledgeable, professional, and friendly associates who stand ready to serve you. Our associates are passionate about what they do and expert in their field. What’s more, they work efficiently and effectively together in a team approach to problem-solve and find customized solutions within your budget. 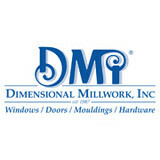 What kind of services do New York door dealers provide? Door dealers are responsible for a variety of services, including door installation, replacement, door repair and custom door design. If you need a new door, New York, NY door dealers will help you determine what kind you need, as well as shape, color, size and more. From barn doors to French doors to front doors, these professionals can help you choose, install and maintain your door investments. Wood doors are beautiful, versatile and tend to be the most popular choice for both interior and exterior doors; they are easy to custom build, and include oak, cherry, walnut, mahogany, maple, fir and pine. Some standard wood doors have MDF cores wrapped in wood veneers, which minimizes the chances of warping as real wood expands when wet and contracts when dry. If your heart is set on a wood door but you think the New York, NY climate might cause it to warp, talk to your door professional about a furniture-grade veneered door. Aluminum doors have an insulated core and come in a variety of colors and finishes. With a baked-on enamel finish, they won’t rust or need repainting, and many come with a 20-year warranty. Next to wood they are the most expensive and have to be custom-made. 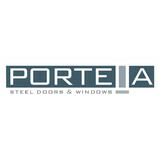 A New York, NY door dealer can help you find a reputable aluminum door manufacturer. 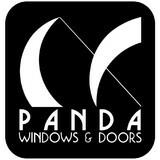 Find door dealers and installers in New York, NY on Houzz. 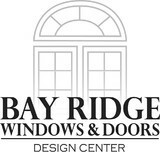 Look in the Professionals section of our website and search for New York, NY door dealers and installers. Read reviews, look at project photos and see how a pro can help with your home improvement project.